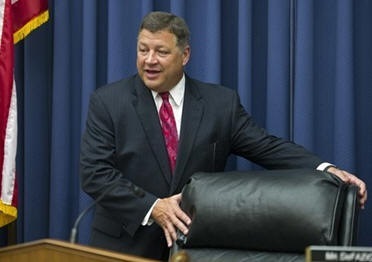 June 18, 2015 - In a speech on Monday before the Aeroclub of Washington, the used car salesmen, Chairman of the House Transportation committee, Rep. Bill Shuster, a Pennsylvania Republican, said he would like to take the FAA's air traffic control system out of the government's hands. Shuster stated he would introduce legislation that would strip control from the Federal Aviation Administration. "I believe it's essential to separate air traffic control from our safety regulator." Shuster said, "Our Air Traffic Control system is based on technology from the last century. It's questionable whether our ATC system is capable of just sustaining current demands, delays already cost passengers and the economy $30 billion a year. "But, there's no question whether this system can handle the growth that's coming. It cant." Shuster went on to blame government, "Everyone here is familiar with the federal government's decades-long effort to modernize the system. Everyone here also knows those efforts aren't working." Shuster said, "In the last 20 years, 50 countries around the world have successfully separated out their ATC (air traffic control) service. In virtually every place this has been done, safety levels have been maintained or improved, ATC systems have been modernized, service has been improved, and costs have been generally reduced." Back in 2013, the United States federal government was shut down for 15 days which was a result of the control the tea party republican house. The same group introduced sequestration and Shuster wants to blame government. "A separate air traffic control will spare air travelers from Washington's fiscal fights. "Sequesters, furloughs, and shut-downs seem to lurk around every corner. We have to re-inject stability into how we fund aviation." As a result of congress' sequestration the FAA was forced to slash its budget, resulting in controllers being furloughed which caused widespread delays for airline passengers. So here we go again, the FAA funding expires in September and Shuster states he will include a bill to make ATC an independent system in the FAA reauthorization bill. Just maybe we need to overhaul congress. The union that represents FAA air traffic controllers, the National Air Traffic Controllers Association said "We look forward to closely examining the details of the Chairman's proposal. Safety and efficiency are the hallmarks of our National Airspace System and they must remain at the forefront of any discussions."